White Castle, in addition to being home of the influential slider, frequently considered the first American fast-food chain, and a stoner destination, is now the first fast-food chain to enter into a partnership with Impossible Foods, the popular startup that makes veggie burgers that “bleed” and are supposedly closer to meat in taste and appearance than any other veggie burger. 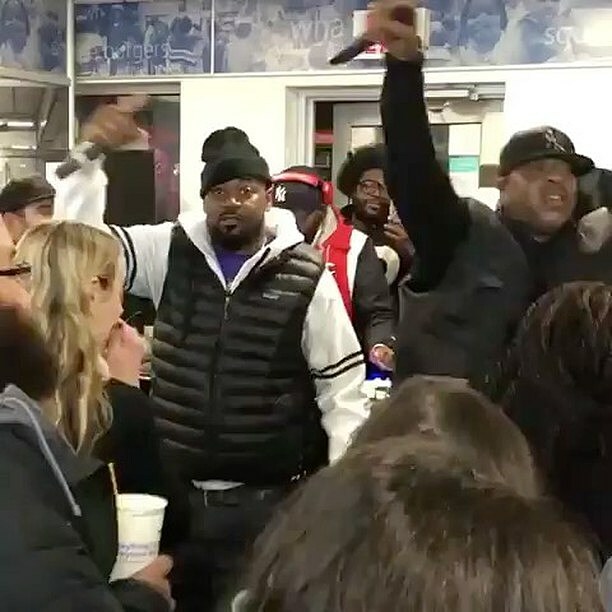 White Castle debuted its Impossible Slider in 140 locations in New York, New Jersey and Illinois last week (4/11), and at the launch party at the White Castle in Bushwick, Ghostface Killah performed. You can watch a couple videos below, and see some pics of the party at Business Insider. Ghostface also has more proper shows coming up, including a just-announced Connecticut show on May 3 at Wall Street Theater in Norwalk with a special guest TBA (tickets). All dates are listed below.